A lot can happen in a week and no one can tell you that more than Steffan Browning. Last week we reported that the New Zealand politician was in hot water for signing our Test Homeopathy for Ebola petition. 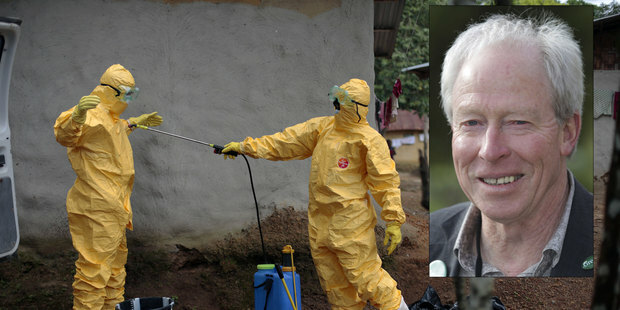 You can read about the fuss and the petition here: Politicians “barking mad” over Homeopathy for Ebola petition. This week we learnt that by signing the petition and suggesting homeopathy could be trialled for treating and preventing Ebola, Steffan was demoted and stripped of his natural health portfolio (there’s no end of irony this). His Party’s co-leader said the demotion sent a signal that the Green Party took an evidence-based approach to health issues, especially public health issues. The media then ran the story worldwide. In the process, some outlets attempted to discredit homeopathy or misreport what Steffan said and did. 1. What does it mean when a politician tries to support a sensible and compassionate course of action but is then punished for his audacity? 2. What does it mean when his political party, which used to support independent and sustainable healthcare, suddenly abandons its values to toe-the-line with pharma-driven policy? 4. What does it mean for that Party’s constituency – a significant number of whom use and benefit from homeopathic medicines – who have been alienated or disenfranchised by their Party’s response to this crisis? 5. What does it mean when there is mindless chortling and jeering as homeopathy is maliciously discredited in this affair (see media reports and their comments, and the Steffan Browning Wikipedia page)? Are they truly trying to stop those caught up in this disaster from receiving help? From receiving homeopathy? Do they hate it that much, and if so, why? It seems we can no longer automatically trust mainstream media for the truth on life-threatening matters, health authorities for untainted advice on health information, and political parties for the courage of their convictions. Maybe we never could but in these days of Internet openness, it’s so much more obvious.